Abstract Fine Art on Gallery Wrapped Canvas. No Framed. This series show my usual acrylic paint pouring technique and mixed media, playing with adding layers of media with acrylics, oils, ink and brushwork. Inspired by the mysticism of the universe, focus on creating points of light, texture and rhythm. 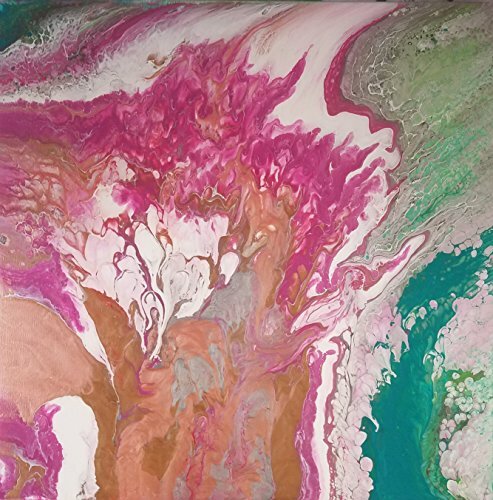 The work attempts to create an abstract expression of the mystery of life nonrepresentational visuals with an inner emotional connection of the viewer. Tolerating everything like a Prickly Pear... A wide range of temperature and moisture levels, growing in the sunniest days and, desert-like conditions... If you like the fruit, you should like thorns. Color: Pink, Green, Gold, White, Cooper.